Mike Burrough's 1971 BMW 2800CS is for sale...he is "selling the car because I'm ready to move on to other projects and would love to see this go to a good new home." Grey Market European model KPH dash, etc., not a Maximillian Import US Model. 2.8 liter inline 6, carbureted. Suspension: This car is on adjustable air suspension. In these photos, the system is empty. The car's drive height is equivalent to a standard lowered E9, and can be adjusted on the fly. Very easy to use. I'm not one for dumping a car on anyone else, so this ad will be all-inclusive. This will help you understand what you're getting and should make the buying experience easier for both of us. I am confident any buyer will be very pleased seeing this car after reading this for-sale ad. This is a car I love, and I hate to see go, but as said, I've got other projects in mind and don't have the money to invest in to this car in order to take it to the next level. The car is very well known and has a great following. 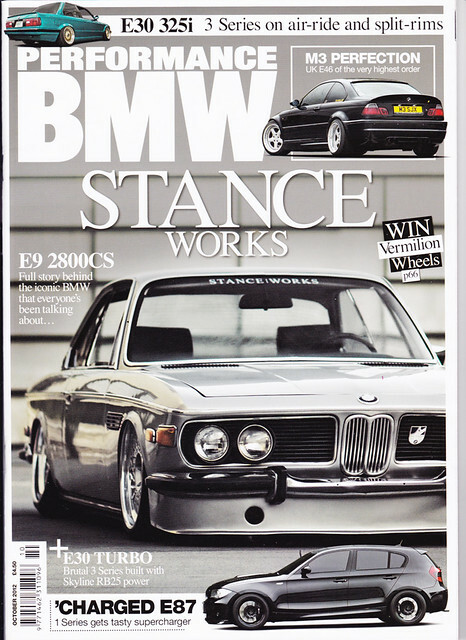 It has been featured in several magazines including Af Imp from Japan, Super Street, and it is currently on the cover of this month's Performance BMW Magazine. This is a 41-year-old car, and it shows. I bought it from an owner who had not driven it in 7 years, and it had sat outside under an open-sided car port. The condition, in my opinion, is that it is very nice given that it is not a "collectors car". 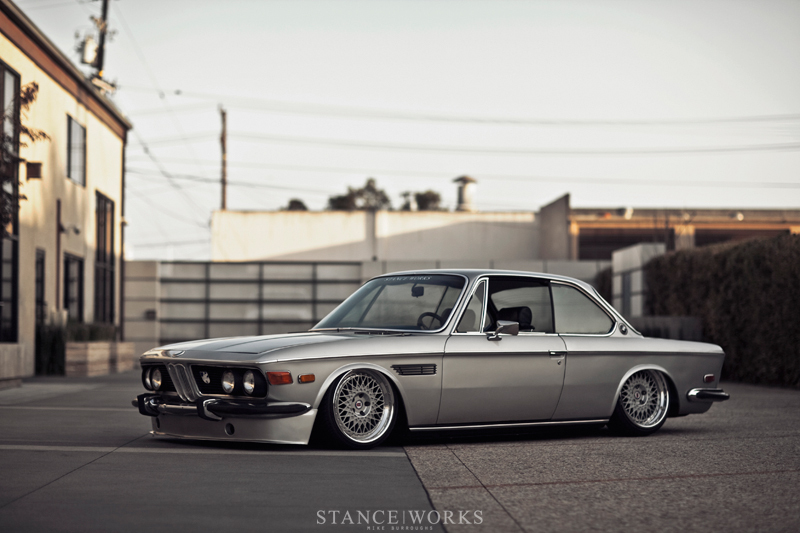 If you're looking for a perfect E9, this car is not for you. This is a driver's car- I drive it almost every day, I've put a lot of miles on it, and I wouldn't hesitate to hop in and drive it anywhere. In a collector's eyes, this car is absolutely a project. It will require a lot in order to be a collectors piece. To the casual enthusiast, this car is exactly what you want. • Crack in the paint at the nose of the car where the fenders are leaded in to the nose cone. Cosmetic, but the largest exterior flaw. • Small "pimple" ding in the trunk lid. • There are a couple of minor rust bubbles under the paint in some spots. One spot is comparable in size to the diameter of a cheap BIC pen. the other, to a dime. This rust is located at the base of the fenders. • Some wear on the paint above the fenders/slight metal fatigue. The car is a solid 10' car and with proper attention will truly shine. As is, the car turns every head on the street and will not disappoint at first or second glance. Combing over the car shows the trouble areas, but should be of no concern to anyone other than someone who is looking for a restored car. 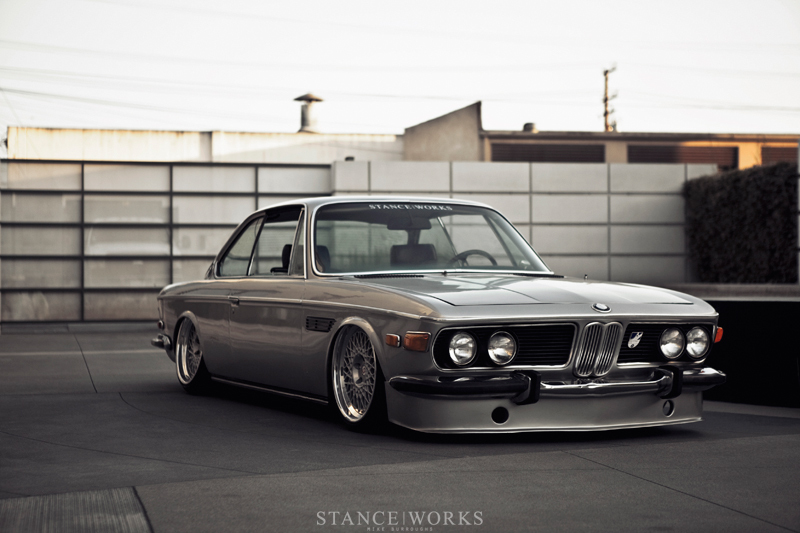 The car includes a fiberglass CSL front airdam. It is in good condition overall with one small chip in it. There is one ding in the front bumper. 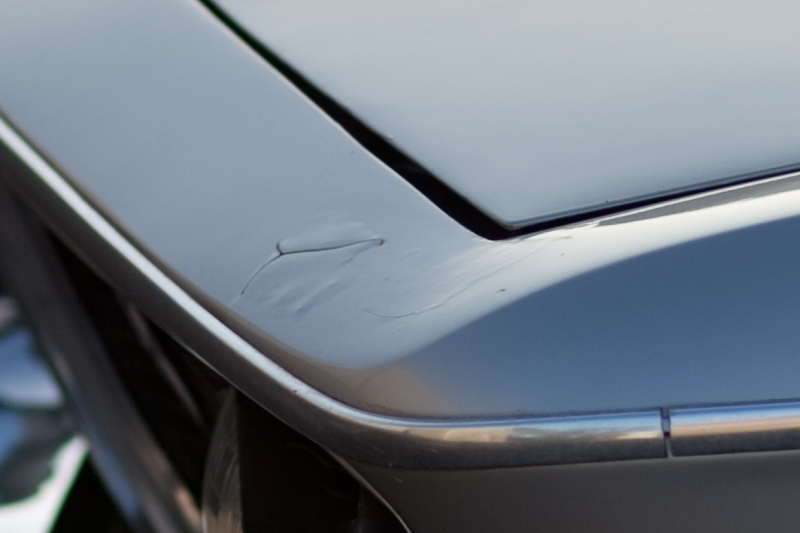 Here is a closeup of what I consider to be the largest exterior flaw. 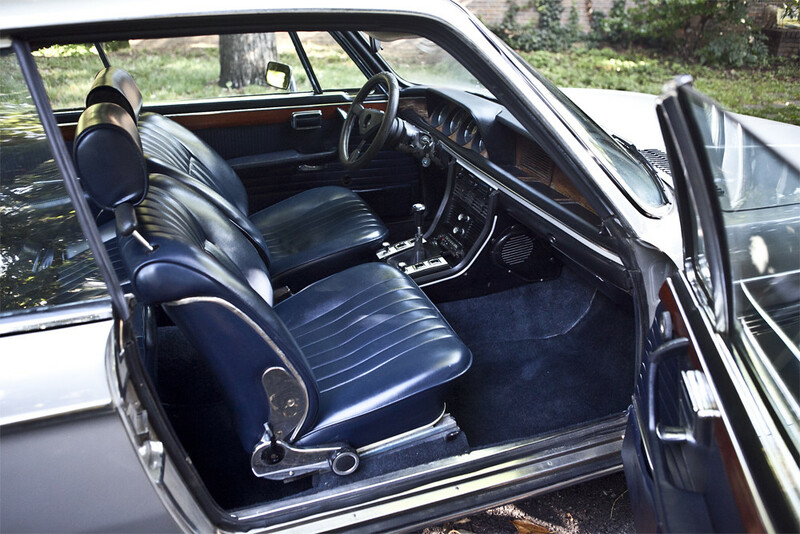 The trunk does not have any of the original interior, it is bare. The trunk seals well and does not leak any water. The car has air-conditioning. I do not know of its condition, as I have never tried to operate it. But if that is something you're aiming for, in any case, this car has it. Please note the car now has a Nardi steering wheel. The car starts every time and has never left me stranded. It has been driven at least 3 or 4 days a week for the past year. I've completed several road trips in the car without issue, the longest of which was from Nashville, TN, on a 21-hour straight trip to Maryland. I recently drove the car from Los Angeles to Las Vegas and back, as well as from Orange County up to San Luis Obispo and back. The car has the original 2.8 liter inline six M30. It runs on a pair of Weber Holley downdraft carbs. The car shifts well. The car is probably due for a tune-up, but could go on without it for a long time. Recently rebuilt the carburetors, replaced the spark plugs, and replaced the coolant expansion tank. Also just received a brand new exhaust. The car burns a very slight amount of oil, maybe a half-quart a month. Expected with an old car, almost unnoticeable. This car is not fast. It is a cruiser by every definition. The car sits on a custom AirLift bag setup. McPherson struts in the front and a sleeve bag in the rear. The switches and gauges are located in the interior, under the dash where the original fuse box cover went. The setup functions perfectly, handles excellently, and the ride quality is improved over factory. It is not bouncy nor jarring. It is relatively maintenance free and should be used to your enjoyment. The air system has no leaks and can be left in the lifted position for weeks at a time if you so desire. It could be left alone entirely if air suspension is not your thing. The car drives perfectly straight, does not track oddly nor pull in any direction. The brakes work well and the brake fluid was flushed entirely and replaced last year. Due to the car's age, it does squeak and rattle a bit over bumps. The air compressor and air tank are located in the trunk of the car. 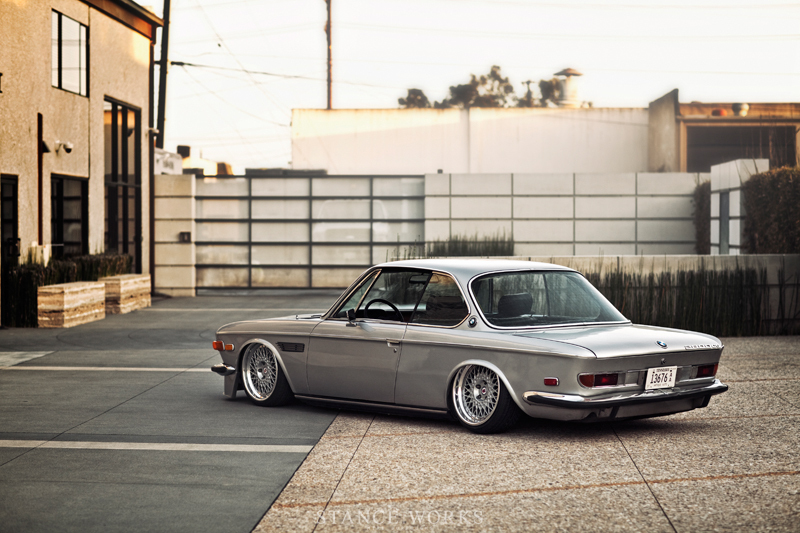 The wheels are HRE Vintage Series 501s. They are the first set ever produced, built specifically for this car. They measure 18x8 and 18x9 with a et (offset) of +10. They have Falken tires on them with virtually no wear and are in excellent condition. A main concern of these cars is rust. Most of the car is entirely rust free. The concern areas, such as the upper front fenders, the shock towers, and window frames are in excellent shape and are rust free. The floor pans are solid. The rockers are the only area of concern in my opinion. They are fine as is, but should you be planning on a restoration of this car, it is an area to be addressed. The spare tire well has some minor rust as well, which is common and expected. While there may be very minor things I have forgotten to include, I consider this ad to explain every area of concern on this car. I feel that overall, it is a beautiful car and I've done a fair job of painting an accurate picture of the car. It photographs wonderfully and is something any owner should take great pride in. It's a solid example as a driver's car or a great candidate for a restoration. My asking price is $17,000 or best offer. I think this is a fair price for this car given the overall condition, the modifications made, and the following the car has. The car has a clean, clear title in my name with no liens or further issues. This car will continue to go up in value, as they are rather rare and only grow more so. For any information, please don't hesitate to contact me. But please do not contact me until you've read the whole ad. It will answer almost all questions. Please remember that this car is a project "driver", not a show car. Phone- 816 585 77 zero zero, you may call or text. 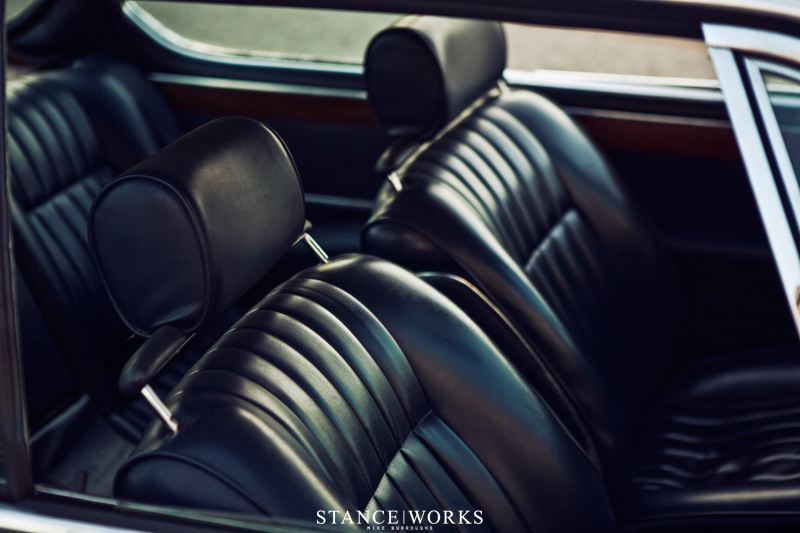 Email- mike at stanceworks dot com - I check it often throughout the day. I will not part out the car, and the car will be sold to the first person to come with money.